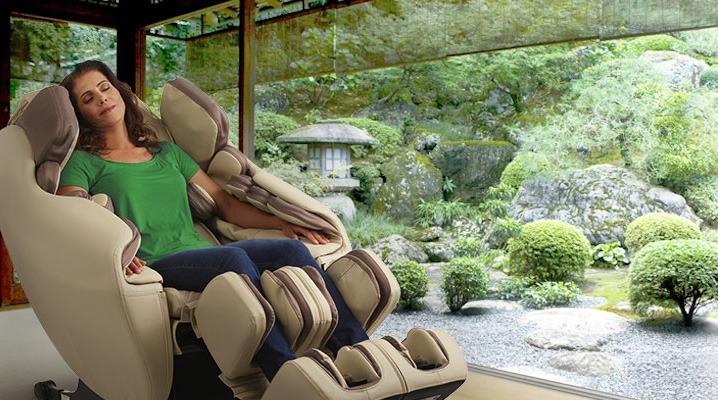 Inada, one of the world's leading massage chairs makers, has made in the Inada Flex 3s what some believe is one of the best massage chairs in the world. Inada thinks so too since they've adopted it as their brand promise. So, we did a deep dive on the research, read all the literature and reviews, and compared it to some of the best in the industry. Read our Inada Flex 3s review on to see what we think, and how it compares to others in its class. Most manufacturers go for similar massage techniques in their technology and engineering. When it comes to massage features, you will see these similarities across the playing field. You have rollers, tracks, and types of massage. Airbags, compression, and heat are also commonalities. So, where top-of-the-line companies tend to branch out is in cutting this fine edge. Stretching, for example, has entered the scene, and is one to look for. Inada goes a bit further. They focus on stretching and mobility but also on how the rest of the massage features accompanies it to get the desired multi-tiered result you don't see from other brands in the market today. With the Flex Inada emphasizes improving posture and flexibility and uses those aspects to differentiate themselves from the pack. These two qualities are therapeutic for both mind and body, leading to confidence and greater health. Another component that makes it different is not in how the parts are made or the programs you can choose from, but how they put the two together. 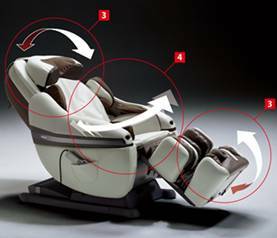 The Flex 3s massage chair mixes the stretching function with a shiatsu massage. 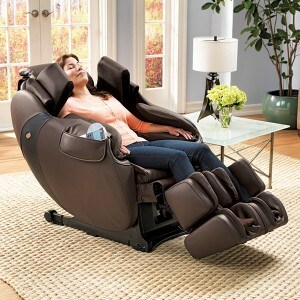 They've consulted with actual Japanese practitioners to perfect the way the chair delivers the combined massage. The result is greater mobility and a reduction in pain and stiffness. The way your posture is improved is by means of the massage you receive on the three primary "s" curves of your spine. These are the neck, the chest and trunk, and the lower back lumbar region. By targeting these areas specifically, you come away with better posture, less stiffness, and greater all-body relaxation. The stretching function spans the entire body, not just the neck and shoulders or waist and hips, as you see in some other models. The get every part of your body thoroughly stretched—your shoulders, all the way down to your hamstrings. The deep massage throughout the back and shoulders also works to enhance deep breathing, which makes for more oxygen in the bloodstream, better circulation, calming the nervous system, lowering stress, reducing blood pressure, and generating a greater sense of wellbeing. stretch, full and low body massage, and entire body stretch. You can also choose a shoulder-specific program and one that delivers light air compression to your collarbone, which is relaxing and aids in reducing stiffness and improving posture. If you like to mix and match when it comes to massage and prefer to pick your techniques and styles, there are countless combinations and possibilities. All the massage modalities and stretching features are in addition to air compression for feet, arms, and legs. You can also add heat to the soles of your feet and hands if you choose. The fact that Inada massage chair company consulted with a professional and expert in the field of Japanese sports stretching to design this chair shows. The engineering is outstanding, and the quality and ingenuity of the massage you get stand heads above the rest. The craftsmanship is excellent. It's well made and built to last. It also looks great. It's sleek, stylish, goes with any decor, and is a great addition to any room. Features. You can’t beat the techniques and results you’ll get as a result. The stretching, heat for the hands and feet, and posture and mobility focus are hard to beat. Warranty. They stand behind their products at Inada. You get a three-year limited repair or replacement warranty. Support. It comes with a user manual, and if you lose it, it’s also available online. They also have outstanding customer support, should you need to call them with questions. Limited heating areas. There is no heat in the back or lumbar region. Size. Make sure you note the size range. It’s designed to be most comfortable in the mid-height ranges. If you’re over six feet or under five feet tall, check the specs. Remote control. This is your basic remote control, with no bells, whistles, or cutting edge technological advances. Not a huge deal since you get so much in the chair, but the caliber could come up a notch. The Dreamwave has a loyal following, and since the Flex 3 Zero Gravity chair is its newest competitor, we compared them head to head to see where each shine. They are similar in look, so if you like the design, you'll be pleased with both. 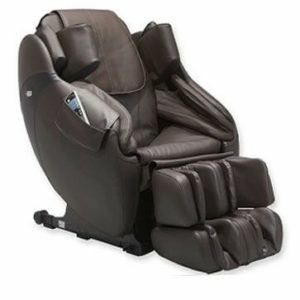 They also have the same rollers and air cell massage in the waist and seat. If you are a fan of lower back heat, you'll like the Dreamwave, since it has heat in the lumbar and seat, while the Flex model only has it in the hands and soles of the feet. Both chairs recline and resume position automatically with the push of a button. They have the same three-year limited warranty. The most significant difference (besides the location for the heat therapy), since they both have a stretching function, is that the Flex model provides integrated stretching functionality. The Inada Flex has full body stretching while in the upright position as well as stretching while lying reclined. The Dreamwave relies on extension stretching while you're lying flat. A comprehensive review Inada Nest is important when considering these two models. The Nest takes things to the next level with the engineering behind their massage rollers. The advanced technology 3D massage rollers provide outstanding deep tissue relaxation and pain relief. These rollers enable massage into the back, breaching the two-dimensional plane that most chairs deliver. This is the closest you can come to human massage capabilities. The rollers are also redesigned to contain small knobs, which allow for more in-depth penetration into acupressure points. You're not getting a discount on the Nest. You'll pay a bit more it, but there aren't rollers like these in the Flex, which is much more focused on posture and mobility. So, depending on your needs and what you are targeting for your body, that's what will set these two models apart. Science tells us to get a massage if we want to relax, and science doesn't lie. So, whether you're looking for deep relaxation, better mobility, and posture, or high-end luxury, you'll get top of the line medical chair quality in the Inada Flex 3s chair. And if you’re a fan of Brookstone, look for Brookstone, INADA HCP-S373 for the Flex 3 model. Inada's whole line is a solid choice, and they keep innovating. With their emphasis on design and meticulous engineering, and of course backed with one of the best warranties in the industry, you are hard pressed to make a better investment in your health and wellbeing.